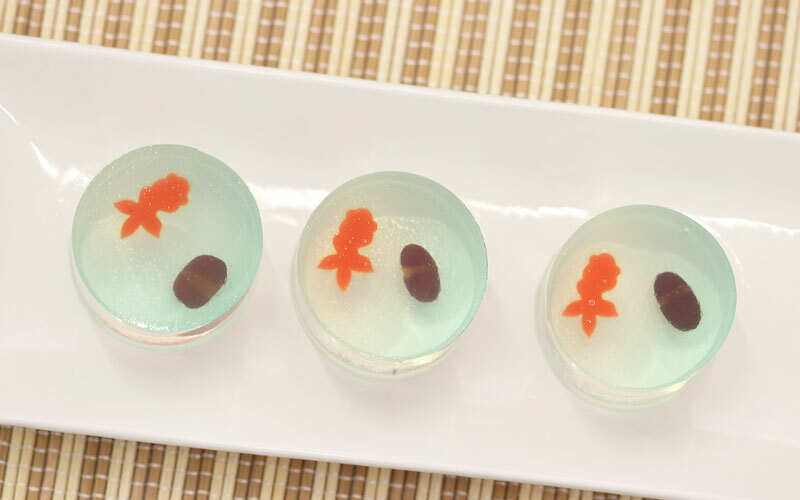 Try making Kingyoku, a Japanese-style confectionery with a beautiful translucency. 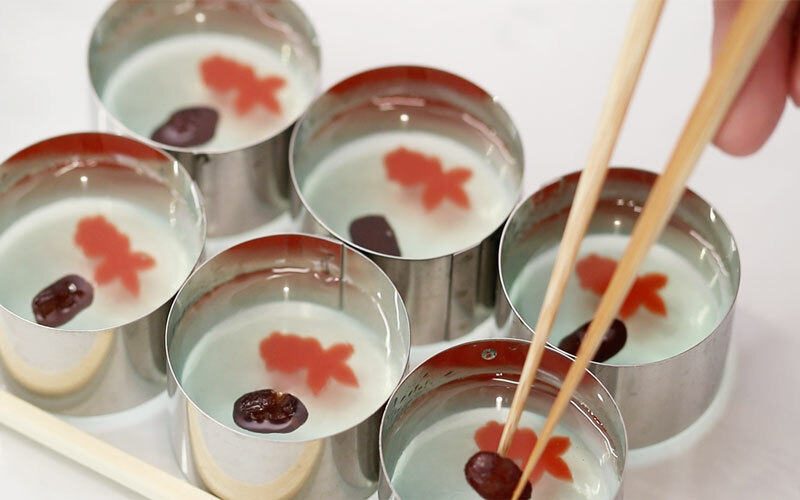 Learn how to make kingyoku with goldfish inside to feel cool. 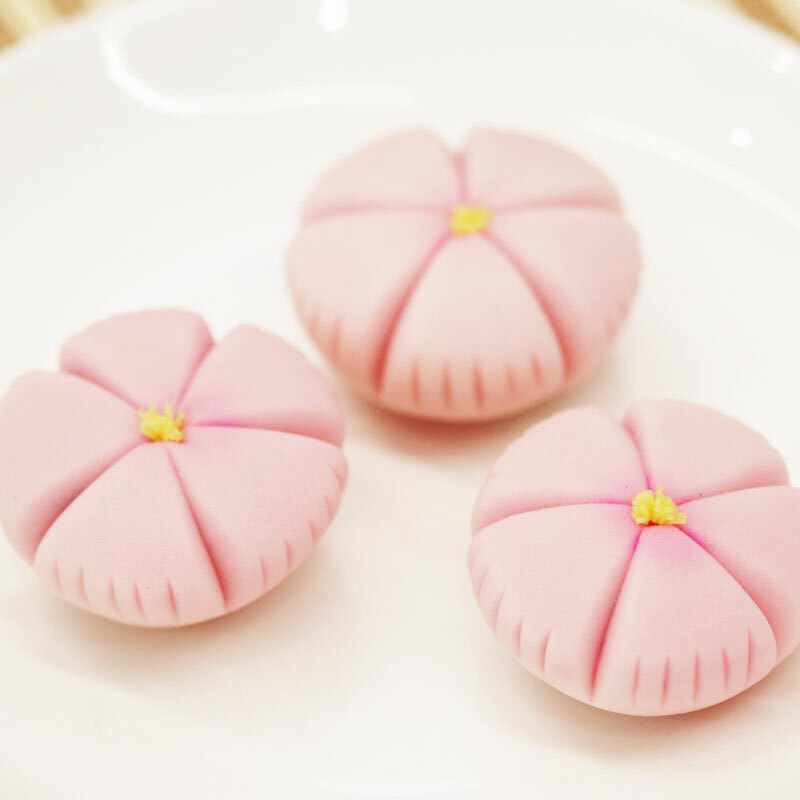 Today, Japanese confectioner Toru Tsuchie will be teaching how to make "kingyoku", which is a Japanese-style confectionery made by boiling a mixture of agar, sugar, and starch syrup. 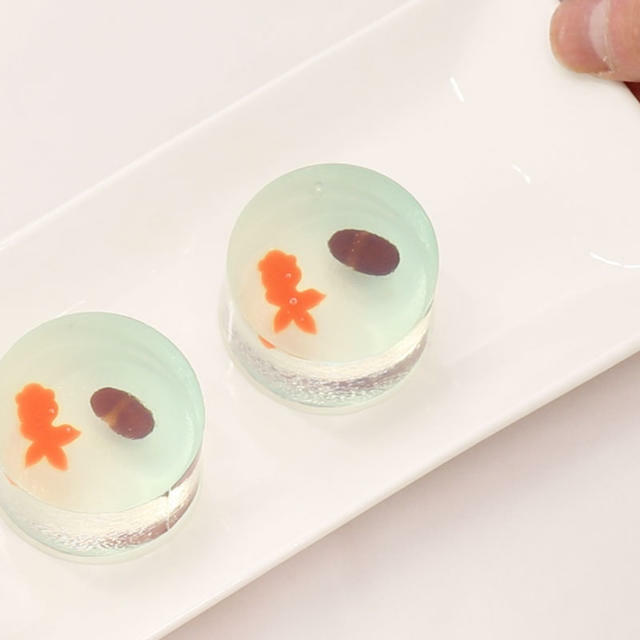 Kingyoku is known as a Japanese confectionery for enjoying the seasons because of its translucent beautiful look. 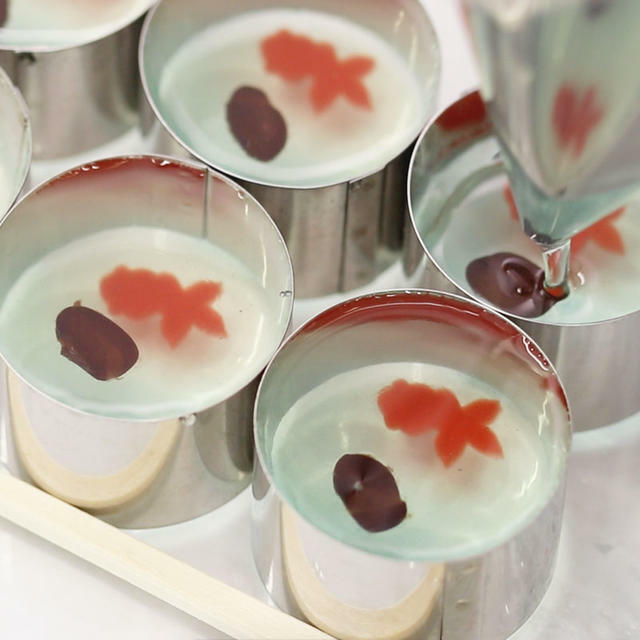 Agar of various colors are used and designs of seasonal things such as fish and plants are put inside. because of its cool translucent look. 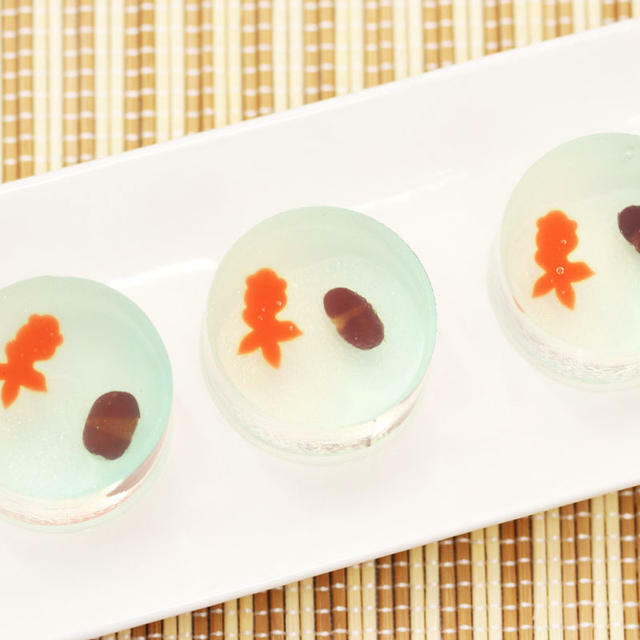 you can make various designs just by changing the color of the agar and what you put inside. 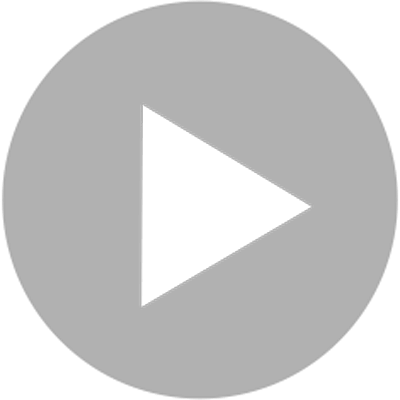 make various designs once you master the techniques. by watching Tsuchie actually make the kingyoku. 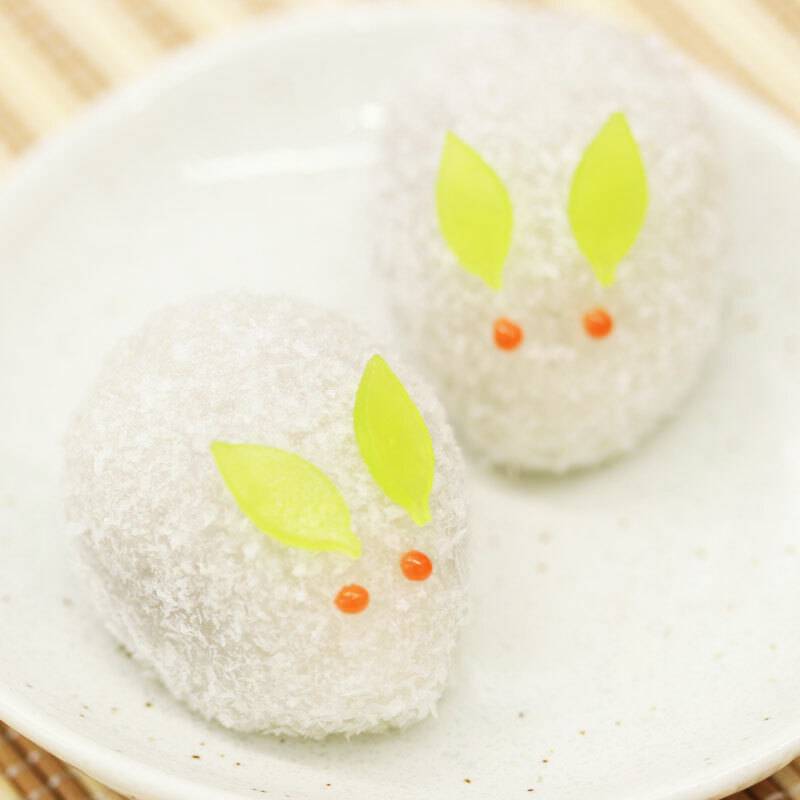 Once you have learned the basic steps, try making your own original kingyoku. Try changing the color of the agar or changing the flavor to lemon or peach. include fruits, and use gold foil when creating your own original kingyoku.